Why Does My Water Taste Strange? Drinking water straight from the tap can sometimes taste strange, and not from the usual fluoride or chlorine by-products. This is the reason why many individuals do not like drinking tap water and become dehydrated as a result. If your water has a sweet aftertaste, it could be an indication that there is a high concentration of naturally occurring minerals such as calcium or iron; there could also be an imbalance in the water’s pH or alkaline levels. If minerals are not the culprit, it could also be because of the plumbing – letting the water run for a bit or flushing the pipes could help clear the water of sweet tastes and odours. If your water has a fishy taste or odour, it is most probably due to the presence of naturally occurring, organic material in the water source. The metal barium, which exists in mineral ores can sometimes seep into wells and pipes; Cadmium can also find its way into pipes via industrial waste or fertiliser contamination. 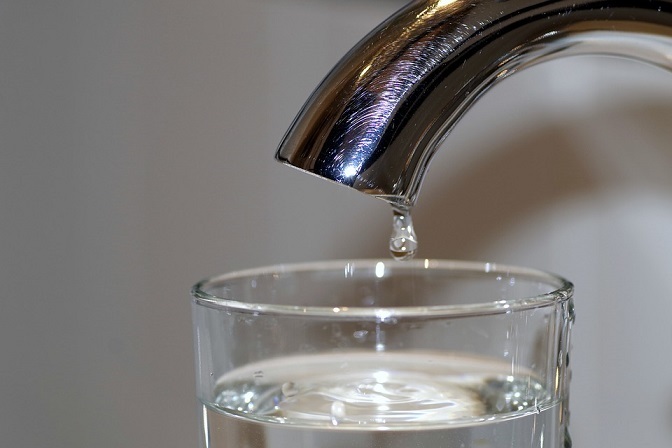 The combination of chlorine and ammonia creates chloramine, often used to disinfect public water sources, but which can sometimes produce an unpleasant aroma in water. If your drinking water smells like your dog when it has been out in the rain, it could be as a result of concentrations of metal in pipes. It could also be as a result of organisms and/or bacteria or, chemicals used to remove those organisms or environmental contaminants based on geographical location. If your drinking water has a strange taste or smell that puts you off of drinking it, do not just stop drinking water; make an alternate plan to ensure that you drink sufficient water throughout the day in order to stay hydrated and healthy. A water cooler is your best bet for ensuring chilled, fresh, great tasting and smelling drinking water. A mains water cooler, also called a Point-of-Use (POU) water cooler, is plumbed directly into your main water line and a filter is attached that can remove all contaminants.